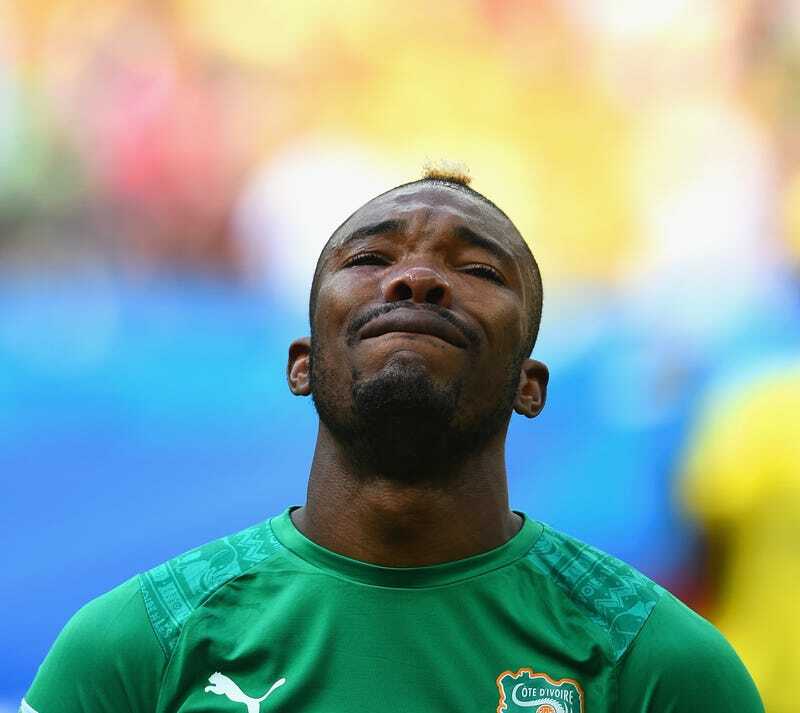 Ivory Coast midfielder Serey Die shed tears while attempting to sing the anthem today. It wasn't patriotism—it was soon reported by multiple outlets that Die had learned of the death of his father two hours before kick-off. (The rumor appears to have been started by a hacky Twitter account.) It turned out to be false—his dad died 10 years ago. "Hello, I just want to say that it's wrong what they all say, that I was moved because of my dad, but he died in 2004 and it was just the excitement of being in a World Cup and serving my country, Ivory Coast. I never thought one day I would be at this level of competition." Whatever the reason, POW—right in the feelings.